After getting what it wanted—the Biogenesis founder's testimony and evidence against Alex Rodriguez—MLB has dropped its lawsuit against Tony Bosch. Everyone try to act surprised. Bosch was MLB's primary witness against Rodriguez in the arbitration hearing that handed him a 162-game suspension. There was no physical evidence tying A-Rod to illegal drug use—only Bosch's word, and his personal notebooks. It is not an exaggeration to say Rodriguez could not have been convicted without Bosch's cooperation. And that cooperation was coerced. Bosch did not agree to assist MLB until it filed suit against him in February. Facing the possibility of criminal prosecution as well, Bosch didn't have a ton of choice but to turn witness. In exchange, MLB paid Bosch's legal bills, provided personal security, promised to support him in criminal litigation, indemnify him from civil litigation, and drop its lawsuit against him. The message couldn't really be any clearer here. 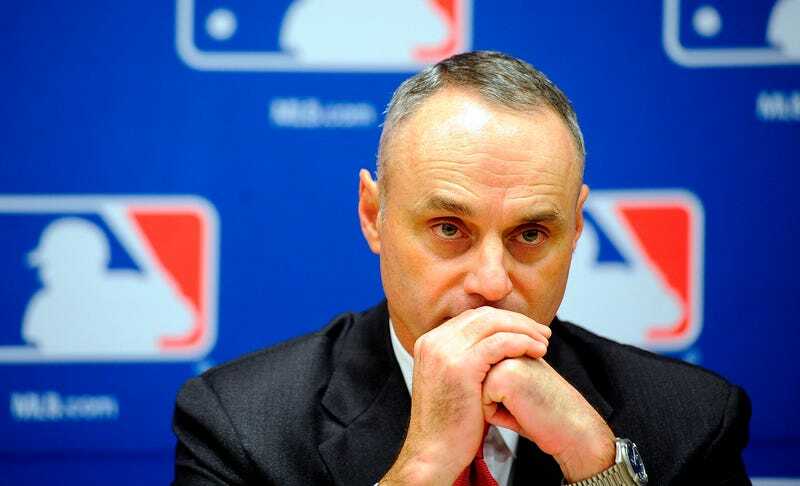 MLB has no intentions of going after the PED suppliers, and is willing to pay them (and torpedo government cases against them) to get them to turn informant. In most drug cases, it's the little guy who cooperates in order to bring down the big fish. Everything about MLB's drug war is backward.